In present-day international relations there are only two camps one can choose from and belong to – the United States and China; everyone else, including Europe, must accept the current state of affairs and become “docile subjects” of those who have power and authority, columnist Daniel Soulez-Lariviere said in Le Huffington Post. In this day and age, the United States and China dictate the tempo of global politics. Meanwhile, the EU is quickly losing its position due to its own lack of unity, Soulez-Lariviere said. 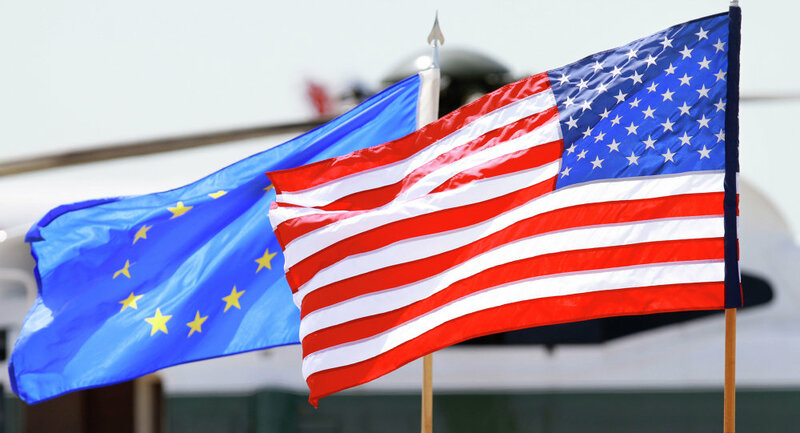 This can lead only to one outcome — the EU should acknowledge American dominance and become its "subject," hoping that Washington will show some mercy and a little bit of justice toward its European vassals, the columnist said. "The US is virtually the only entity that extends us a hand of friendship, although its intentions are predatory (even in the name of ‘the greater good'). Even if it isn't the world, in which we [the EU] would like to live in, we still live in it," Soulez-Lariviere said, as cited by Le Huffington Post. Right now, the only other sovereign power that Washington recognizes is China. The United States currently sees neither France nor the EU. The EU should stop pretending about its imaginary independence and accept its "subject" status, giving hail to the king, the columnist said.